Join the revolution! This is the gold-standard in hand-crafted American bicycle craftsmanship. We've made 'em the old-fashioned way for more than 115 years. Design your very own men's cruiser today. The base model is a standard Worksman Cruiser (Same as our legendary Industrial Strength Models), with our heavy duty clincher rims, 11 gauge spokes, Shimano E110 Coaster Brake, WTC Blackwall Sup-r-tires, no fenders, 24" handlebar, comfortable padded seat, heavy duty 1/2x3/16" chain and sprocket and is a great bike just the way it is. 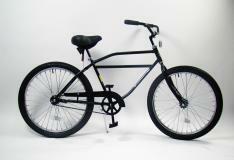 A Real Classic American Made Cruiser Bike, more durable than any other brand. See photos of our Custom Order Options HERE. 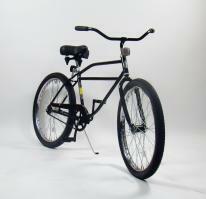 New York Magazine described the Worksman Cruiser Bicycle as the "Hum-Vee" of bicycles. Simply put, the Worksman cruiser is unlike any other brand. Our bikes are designed for people who like their products hand-made, rugged, unique, distinctive, tough, classic and built right here in New York. We've taken our world famous Worksman Industrial Bicycle and made it available to the public with lots of added features. There are hundreds of configurations to choose from! Design Your Own Bike! Complete the simple form below and order your very own unique Worksman Cruiser. 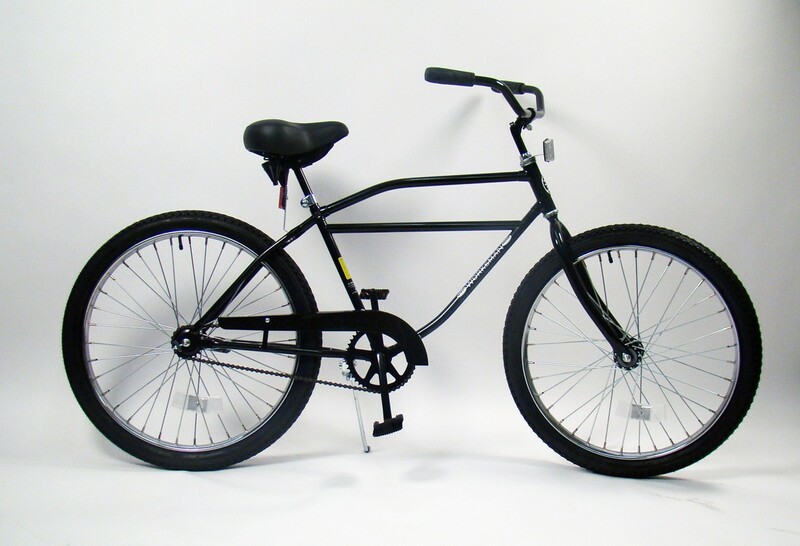 If you want a distinctive, classic, timeless, incredibly durable American Built, Worksman Cruiser Bicycles are perfect for you. 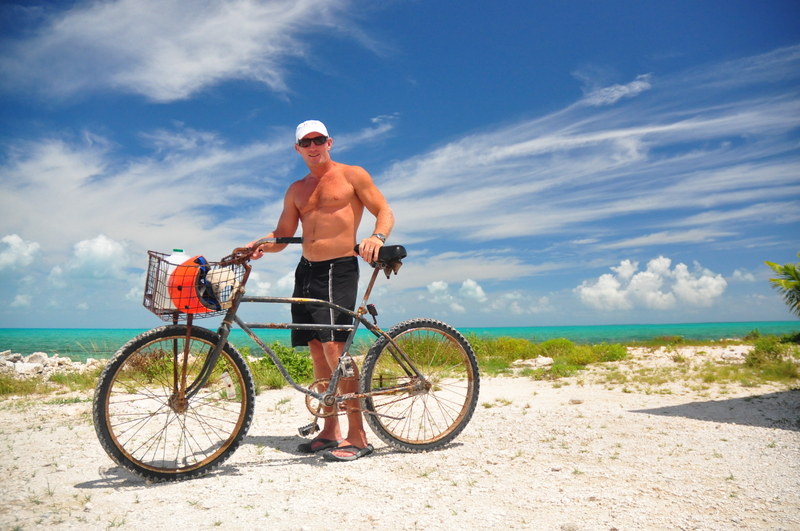 A note to heavier riders (300 pounds +): No other bikes on the market can handle weight like a Worksman Cycle Cruiser. We do recommend the following upgrades for riders over 325 pounds (Front Drum Brake, Precision Sealed Crank set upgrades, Kevlar Belted Tires, Puncture resistant tubes and extra wide saddle. Select other upgrades that fit your goals as well such as gears, frame styles, alloy rims, etc.) 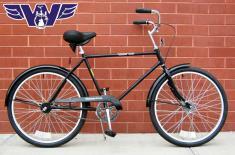 Feel free to call us at 800 962 BIKE (2453) to discuss your specific Worksman Cruiser requirements. We are here weekdays, 9-5 Eastern Standard Time to help you obtain the bike that is right for you. bikes in San Francisco.A friend of mine found a frame in the trash in SF & built it into a supercool single speed. Every one who sees it wants to know about it. offered me a tour of the factory. They mostly build industrial trikes of all kinds,shapes & sizes.Custom orders for the most part.They are about to go electric as well.I think a good idea. a new friend. i intend to place my first order when I get home. The thing that initially attracted me to Worksman was the fact that they are still making bicycles in the USA. After many months of visiting the web site and building my own bike of various different models I went with the classic cruiser, single speed. The reason being is that I wanted something low maintenance and rugged. And that is exactly what I received. The quality of this bicycle is awesome. I have no doubts this will last me my entire lifetime and can be passed down. The bicycle came mostly assembled and putting the rest together was a piece of cake. Even with the optional drum brake I ordered. These bicycles are by no means "high performance" but they offer a very comfortable ride and a great means of transportation. I have done 35 mile rides with no issues at all. The thing I like THE MOST about Worksman is that if offers replacement parts for all their bicycles. This is the greatest value of all. If something wears out, give them a call and get the right part. Easy! And this is no different. Being a bigger guy, I opted for a few upgrades. Larger seat, better tires and tire sealant, closed bearing crankcase etc. It is the most comfortable bike i have been on, and it looks good to. I like all the options that can be customized on the website when ordering, and the checkout was pretty simple. Waiting was the hardest part, took about a month before it was delivered. Just a few side notes, this is my second bike from Worksman, and the first one was a learning curve before I bought this one. I like the kickback 2 speed, but it does tend to shift at times i don't want it to. Also, i like the smaller 36t front sprocket option with the two speed. The front brakes are not needed, but thats up to personal opinion(kickback duo and no front brakes means no cables to mess with). The mirror and headlight aren't worth the money, just got to a local shop so you can see what your getting after you assemble the bike. I like the lighted pedals for night. I was determined to buy a bike that would be durable enough to tolerate being ridden by a large man. I weigh about 280 and I knew that a standard bike would be over-matched by my size. I did my research and concluded that Worksman was marketing directly to my expectations. It was expensive (almost $900 with shipping), but I ordered the top of the line options to eliminate the possibility that the bike would disappoint and be a wasted expense. Because of weather and other things, I have not been able to establish a routine - but I am convinced that I found what I was looking for. The bike is smooth, comfortable and easy to operate. It seems well equipped to handle my size and I enjoy riding it. My only negative comment is probably obvious, but the bike is very heavy. I suppose that makes sense, but it is heavier than I expected and is awkward to maneuver when you are not riding it and not easy to load on the carrier. Overall - I recommend Worksman as a top notch product. I bought this bike for my 300+ lb. brother to help him get exercise and lose more weight 1 year post gastric bypass surgery. He is also planning to use it for a means of transportation around town. The bike is very well made and is very nice looking. It is a heavy bike, and high quality. We purchased the single speed, and it takes some muscle to get it started, but nothing that an adult can't do (even if you are out of shape). We added on the recommended additions for a 300+ lb. rider. The front drum brake has one control up on the handle bars (think of the brakes on the handles of a 10 speed bike, except there is just one b/c it is for the front wheel only). The one speed bike also brakes by pushing back on the pedals. The extra wide saddle seat is large and very comfortable - nicest ride I've ever taken. Very satisfied with this purchase. Thank you, Worksman Cycles for giving my brother his second wind! I saved slowly but surely. I anticipated buying my Worksman cruiser and I knew all the options I wanted! When my savings finally matured, I was ready. My Worksman cruiser arrived neatly, safely, and about 70% preassembled. It is a heavy bike, but I love the solid feel and smooth gliding feeling I have when riding it. The three speed option is a must! I have pride in the fact that I purchased an American made Bicycle. My only complaint is that the wheels were not completely true when new. This minor annoyance, however, has not greatly affected the ride quality. Soooooooo smooth! And good looking! I ordered a bike to fit me a 6'2 tall 415lbs man. This bike rocks!! I had not been on a bike in over 20 years and I felt like a kid riding again. It's such a solid strong bike and you can definitely feel and see the craftsmanship that goes in to it. I have and will continue to recommend this bike brand to anyone especially for big & tall people like me. It's an awesome feeling to be able to do something physically active with my kids. Great way to begin exercising in a fun way. I am very impressed with everything on the bike. Worth the wait. I bought my bike at the beginning of summer, 2015, and after waiting a month for it (and dealing with a FedEx driver who refused to deliver it), I got my Classic Cruiser. I ride it every day to work, and love every minute of it. Excellent craftsmanship, and it rides smoother than any bike I've owned. I will say that it's incredibly heavy, and there is one imperfection in the paint. Beyond that, it's perfect. I'm trying to build a retro electric moped resembling a 1910 Indian motorcycle. This Worksman bike frame was the closest thing to the original frame I could find without getting a custom weld shop to do it for me. It saved be hundreds of dollars more by offering the tires and springer-fork I wanted. Good quality. Strong enough to handle hub motor torque. It really turns heads. From first contact to prompt delivery Worksman did not disappoint. I needed a sturdy bike for my football player son to use for his college campus commute. He broke two prior bikes. He loves his Worksman bike. It is sturdy, comfortable and stylish. I have recommended this company to all my friends!